One week ago today I was on my way home from the Love Is Murder Conference up in Wheeling, Illinois. I took the train home out of Chicago’s Union Station–the ride was pleasant, but boarding was a surreal experience. What is it about train boarding announcements that cause people to immediately become angry and aggressive? One would have thought we were queuing up for the last loaf of bread in Stalingrad, 1942! There were stranger sites, though. 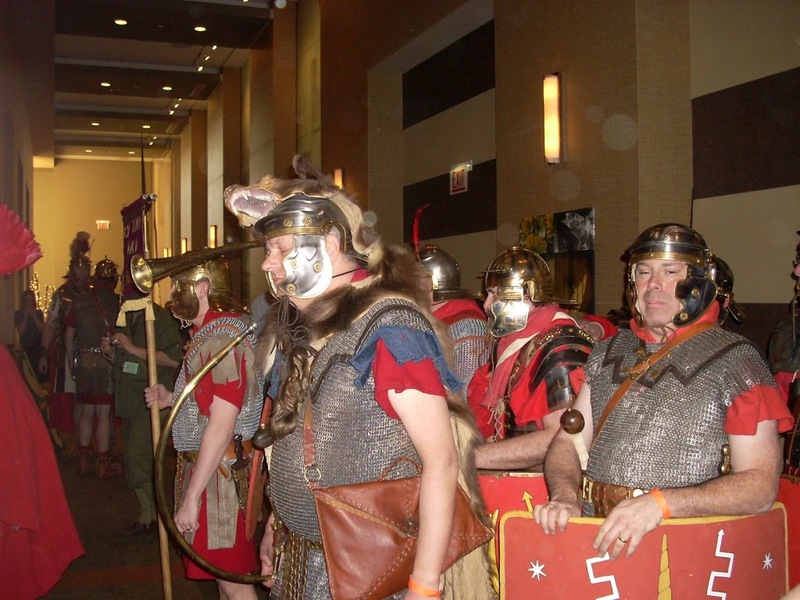 The hotel was also hosting a reenactor convention. Apologies for the terrible pictures…At one point on Saturday night I was caught in the middle of twenty women in hoop skirts who were so determined to get past me and into the ballroom, that I was afraid I’d be swept away! 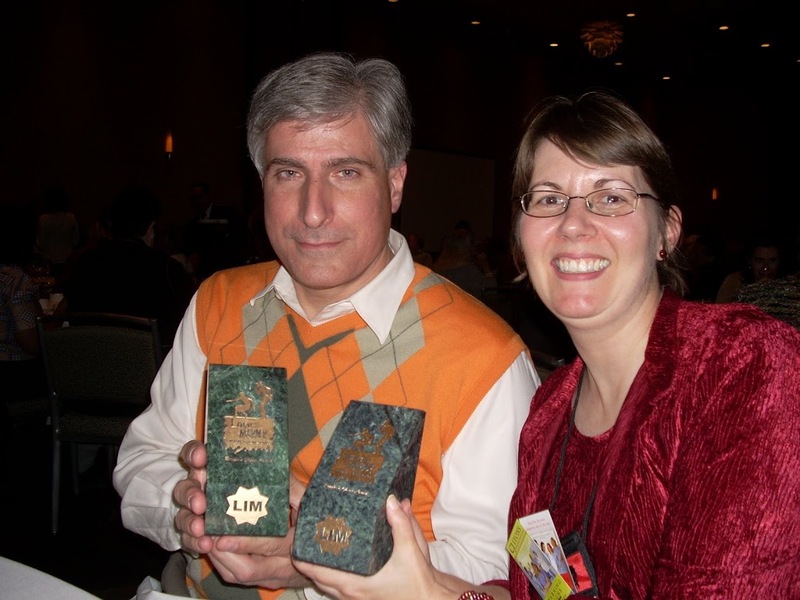 Congrats to my friend–and recent Handbasket guest–CJ Lyons, who won a Love Is Murder LOVEY Award. Her 2008 book Lifelines won the Readers’ Choice award for Best First Novel! 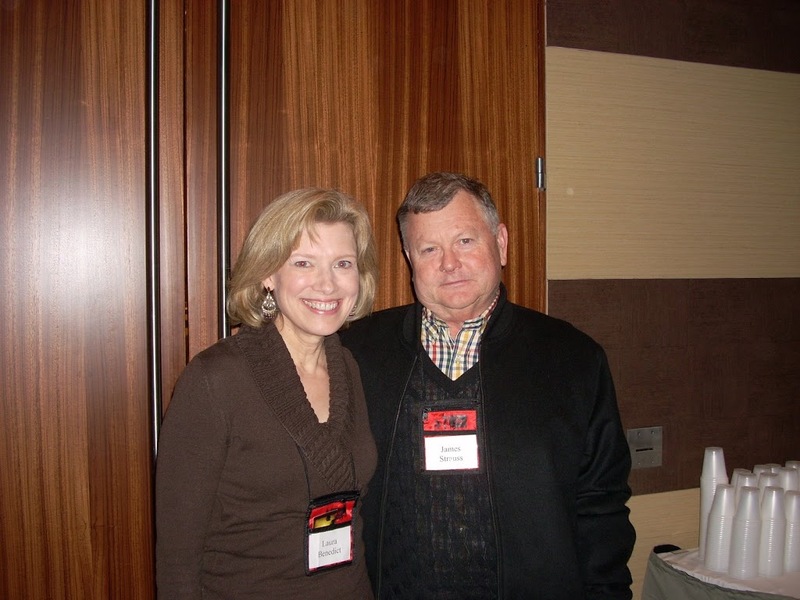 Pictured with her is fellow Ballantine author and one of my favorite dinner companions, Steve Berry. Steve won a LOVEY for Best Thriller–The Charlemagne Pursuit. (He always looks so serious in photographs, but he was definitely smiling when he accepted it!) 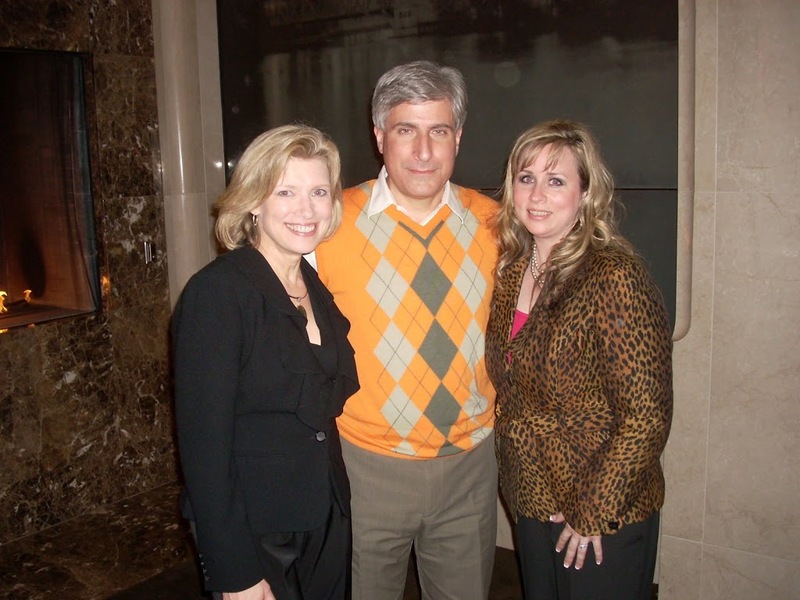 Also below is a pic of me with Steve and his darling wife Liz, the terrifyingly efficient Executive Director of Thrillerfest. Seeing that the book room sold out of all but one copy of Calling Mr. Lonely Hearts. Being on the Editor and Reviewer panel with Jon Jordan of Crimespree. Finally meeting the ever-charming Rosemary Harris (she’ll be on the Handbasket as soon as I can send her interview questions), and seeing Julie Kramer, whose STALKING SUSAN was just nominated for the MWA Edgar’s Mary Higgins Clark Award. (Both pictured below) Having some good chat time with Shane Gericke, seeing Jason Pinter, and meeting James Strauss who writes for an uber-popular television show and is launching his new book series with Five Star this spring. 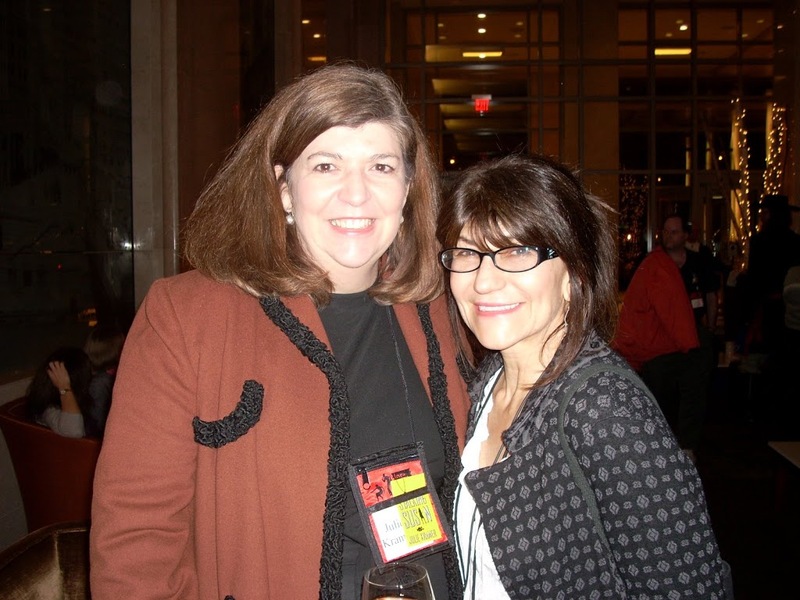 Meeting the prolific and charming Erica Spindler, and, oh, and I can’t forget J.T. Ellison, of course. It was truly the last sigh of the Blonde and Blonder tour! Seems that the Love Is Murder board has decided not to hold a conference next year. It’s a shame. The relatively small size of the conference means that there’s lots of good writer/reader contact and a manageable number of panels. I’ll be interested to see if they decide to grow or keep the intimate nature of the thing. Still–Chicago in February?! It would seem that the Praetorian Guard should read your last post. Now that the B&B tour is a wrap how were first 4-8 week sales overall? Hey Laura! It was great meeting up with you in Chicago!!! Only wish we’d had more time to chat and catch up. Thanks for the shout out about LIFELINES’ win for Best First Book–I’m still grinning! 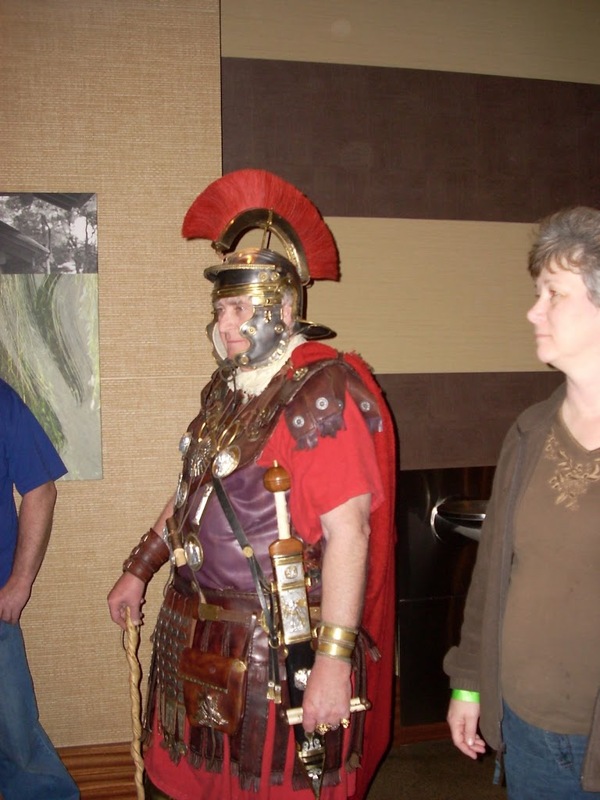 Mark–One suspects that the historical figures were less well-fed, but a lot scarier and whiffier in person. I never look at numbers. I’m far too likely to let them affect me adversely, no matter how good they are! Hi, CJ–You worked awfully hard during the conference. You should have gotten an award for that, too! Glad you had such a good time. The deer, the pheasant, the wild turkey and the occasional fox in the area used to be something to see in midwinter. The notion of a con in Wheeling is fairly breath-taking. I was raised one town south, probably four country miles from your hotel. It was farm country, and then a light-to-medium manufacturing town and a bedroom community back then. Crime writing in Wheeling or PH was limited to five or six graffs in the Herald about recent B&E or hit-and-run events. 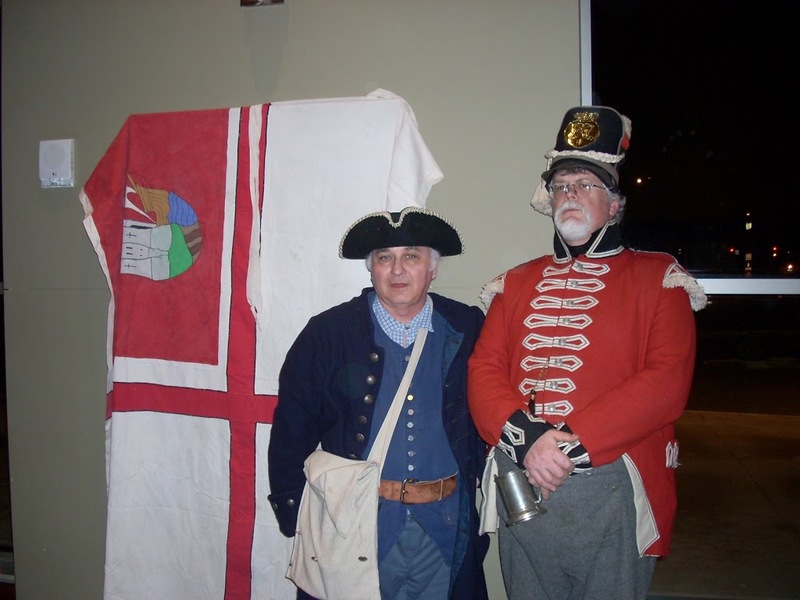 And re-enactors in Wheeling? I’m getting a headache from the cognitive dissonance. My verification word is ‘fartisti.’ I’ll try not to take it personally.